After eluding the cops, psychopathic killer Jigsaw (Tobin Bell) turns an abandoned warehouse on the edge of town into a gruesome torture chamber in this third installment of the horror series. His new protégée Amanda (Shawnee Smith) kidnaps a doctor (Bahar Soomekh) who's forced to keep the evil master alive. Barely clinging to life, Jigsaw begins to carry out his grotesque plans for the lady doc and another helpless victim (Angus Macfadyen). This broken hacksaw was acquired for the production for use as set dressing in the infamous bathroom that held Adam and Dr. Gordon. 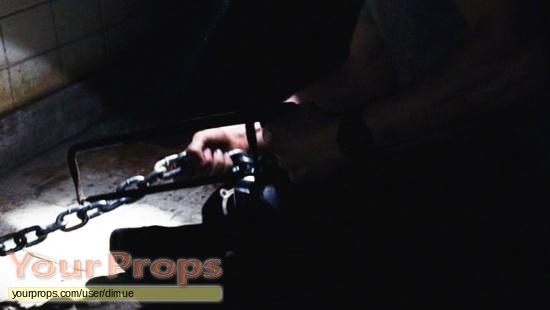 The hacksaw is distressed and broken for filming. 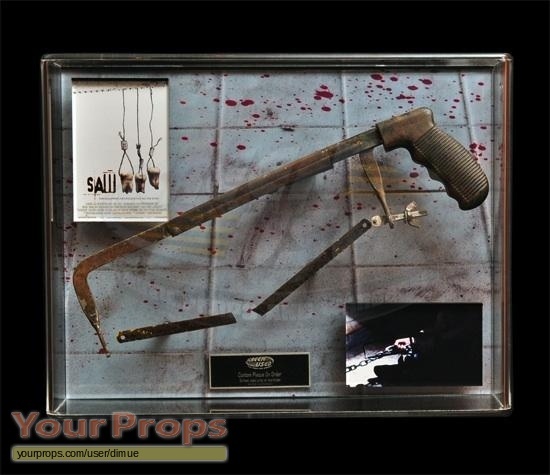 The hacksaw is presented in a custom wall mount display case that measures 17" wide x 13.5" tall x 4.5" deep. 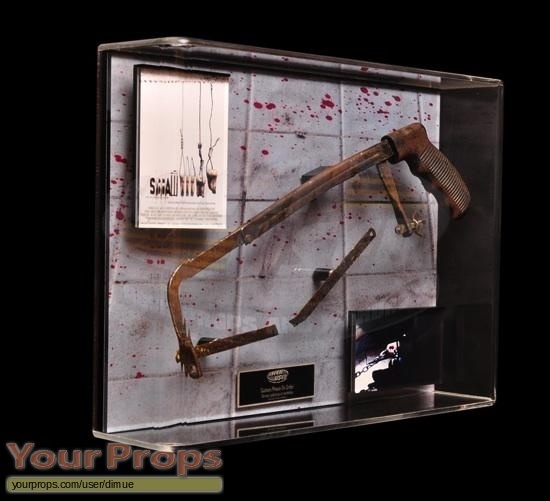 Along with our ScreenUsed COA, this item includes a Twisted Pictures studio COA.